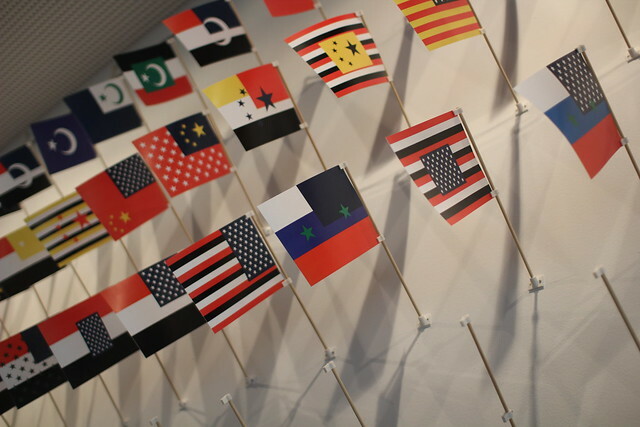 One Flag Every Day consists of a software that collects data from Google News and, by using an analysis tool based on the artificial intelligence Watson by IBM, determines which countries are most referred to in mass media every. 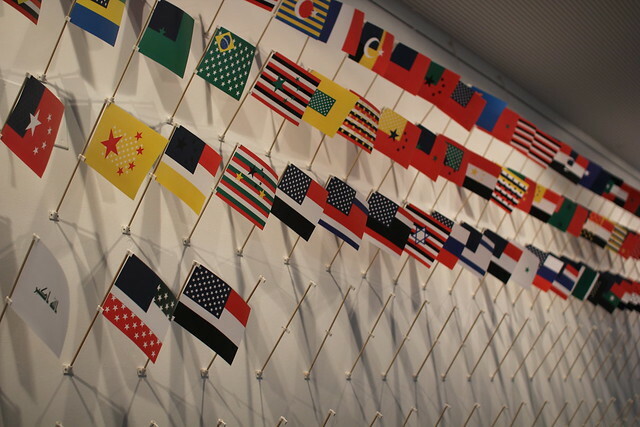 Based on this information, the software generates a new flag, which is the combination of the elements of the flags whose countries are more present in the news of the day. The resulting composition is automatically posted on the Twitter account @oneflageveryday. 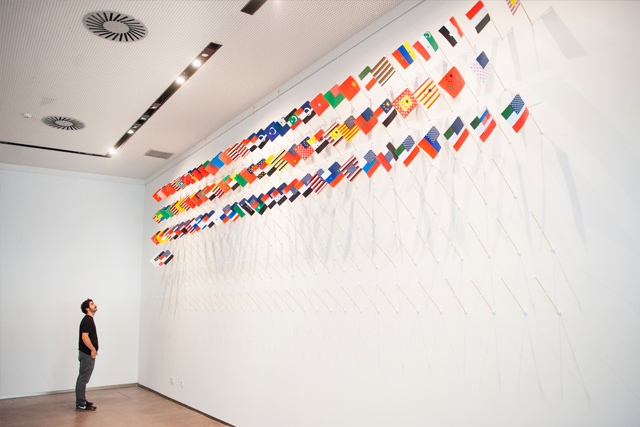 The hybrid flag also materializes in the exhibition space, joining every day other paper flags that progressively occupy the room (text by Pau Waelder). 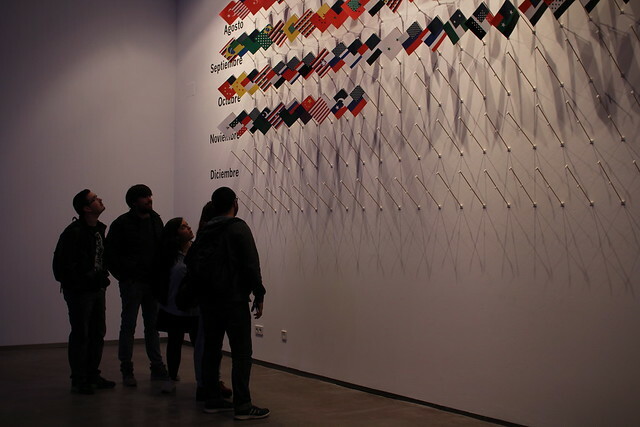 The installation aims to transmit a composition of dominancy in the world, which is stars and stripes in the end. The artwork mirrors the main happening: Olympic games, election of USA president, war in Syria, Brexit, etc. Materials: Custom-made software, wooden sticks, 3D printed parts, print on paper (variable measures). In this project had collaborate the production team from Varvara & Mar studio: Jesús Rodríguez Santos and the interns from ARGO program: Kico Robles Garrido and Bruno Barrán.